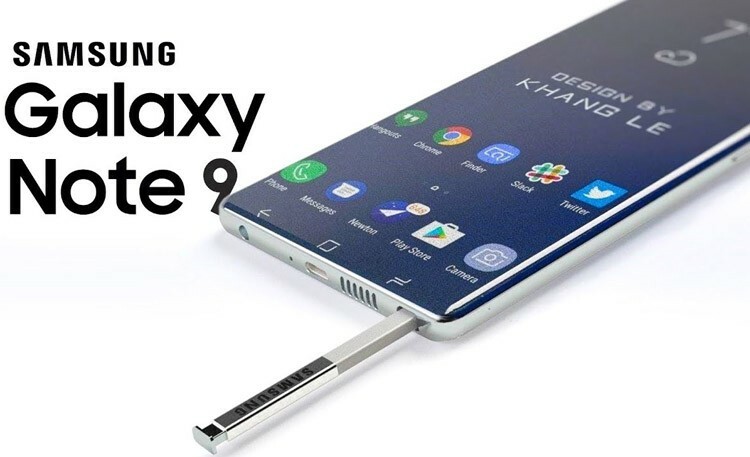 A South Korean multinational conglomerate, Samsung is all set to launch Samsung Galaxy Note 9 smartphone! The company has already started teasing several videos. These videos indicate that the smartphone features a great battery life and faster speed! The smartphone is expected to launch on August 9. On this day, Samsung will host its Galaxy Unpacked event in New York to launch the smartphone. The company will also unveil the Galaxy Watch and some other goodies on August 9! Samsung had teased a video which hinted at the presence of a bigger battery in the Galaxy Note 9, earlier this week. The company has now released two more videos indicating that the smartphone features great storage and speed. The device will feature an 8GB RAM along with 512GB of inbuilt storage. The company is likely to retain its partnership with an Online store- Flipkart for selling the Galaxy Note 9 online. Flipkart has created a dedicated section for the Galaxy Note 9 (Galaxy Unpacked). Though the section doesn’t reveal any pricing details, previous reports claimed that the smartphone will go on sale from August 24 and will cost around PLN 4,299 (Rs. 79,500 approximately) for the 6GB RAM + 128GB storage variant. There is an option for signing up using your basic details to receive arrival notifications of the Galaxy Note 9. Reports also suggest that the pre-order booking will be from August 9. The India launch is expected to start in line with its debut in major worldwide markets. The smartphone is rumored to be powered by a Snapdragon 845 SoC. Galaxy Note 9 will feature a 6.4-inch QHD+ Super AMOLED Infinity Display. It will have up to 8GB of RAM along with 512GB of onboard storage. The smartphone is expected to offer an upgraded dual rear camera setup. New existing features that optimize images and videos. Initially, some rumors suggested that the handset will include an Exynos 9810 SoC for global markets, but recent reports highlight that the handset will come with a new Exynos 9820 SoC. Protective Silicone Cover, Clear View Cover, and LED View Cover. It will come with an upgraded S Pen. There are new color variants for you, including a Deepsea Blue. So, are you excited about the new Samsung smartphone? Stay tuned for more updates!